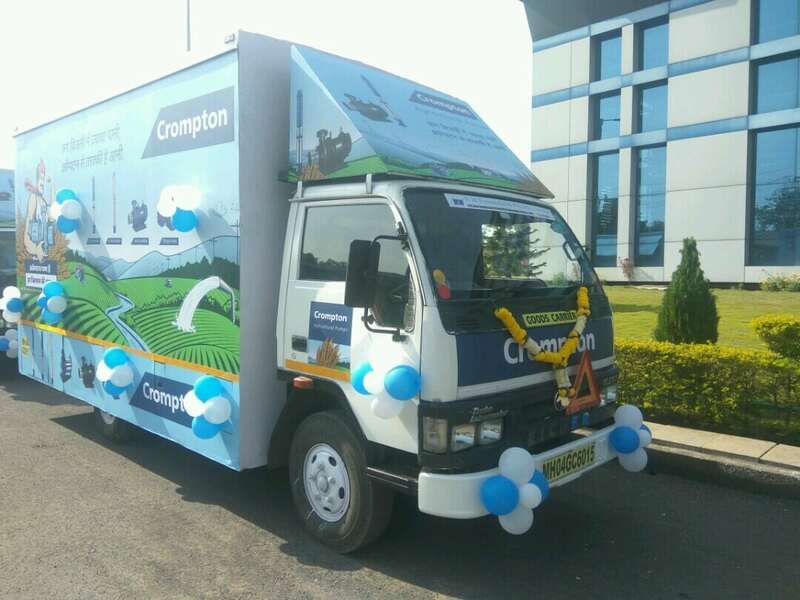 Crompton Greaves a part of Avantha Group has been engaged in designing, manufacturing and marketing products related to power generation, transmission and more. 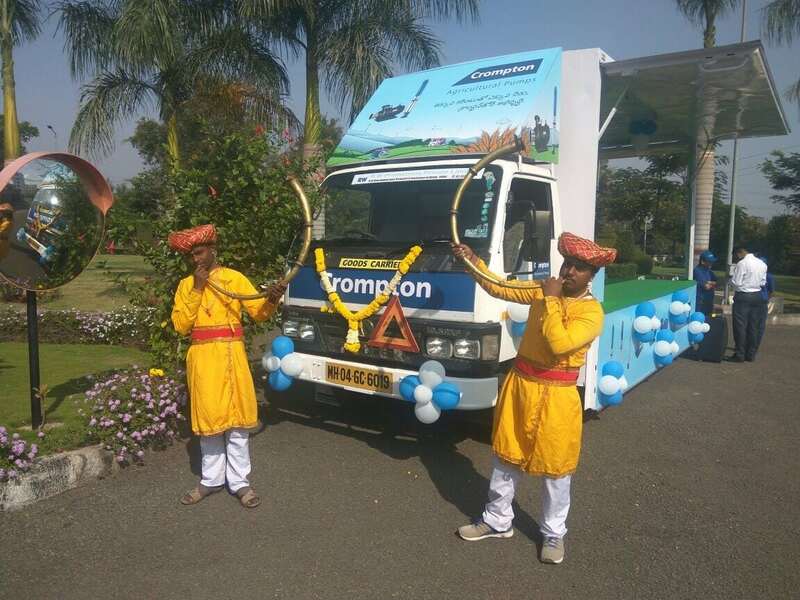 Crompton Greaves’ CFO and General Manager flagged off vans for their campaign from Ahmednagar. 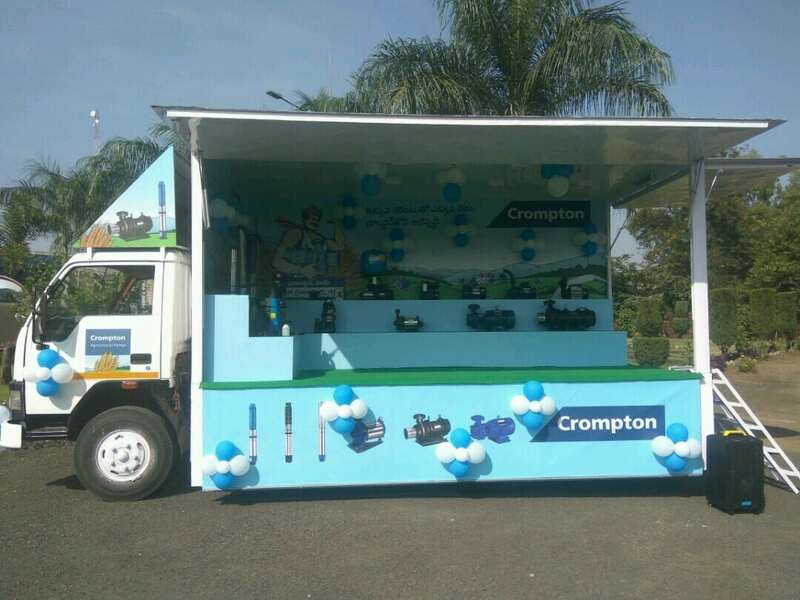 The objective of this campaign was brand awareness, brand loyalty, increase in consumer base, brand recall and engagement with the consumer. Target audience for the same included agricultural and residential backgrounds. 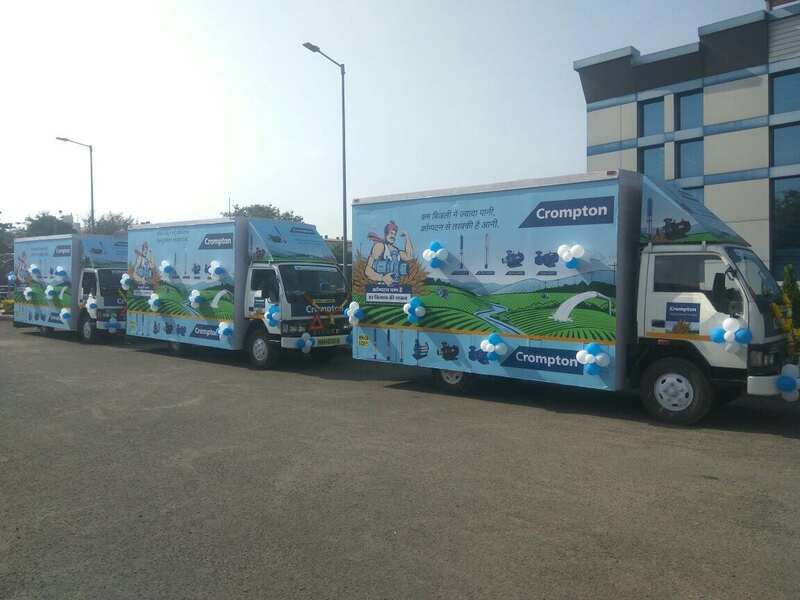 Nine fabricated vans went to 11 states including Punjab, Uttar Pradesh, Maharashtra, Karnataka and more. 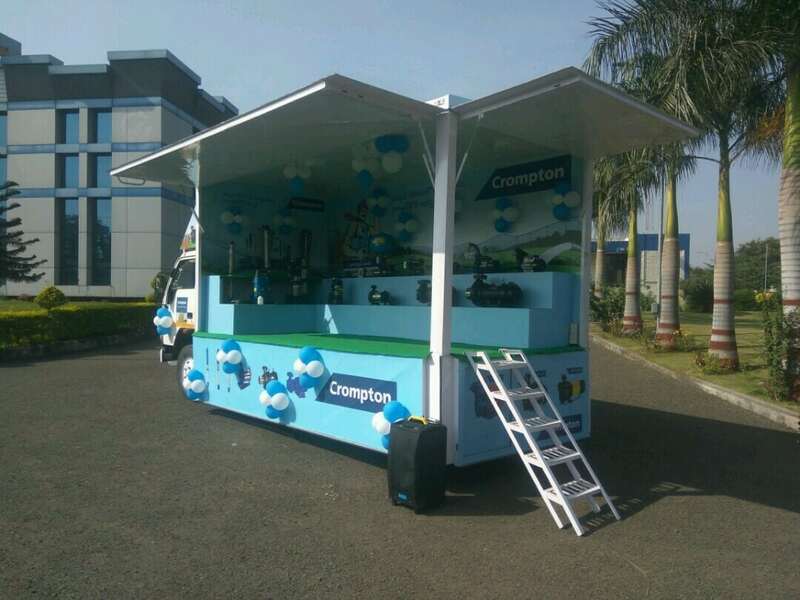 These vans displayed pumps ranging from regular motor pumps to heavy duty submersible pumps. 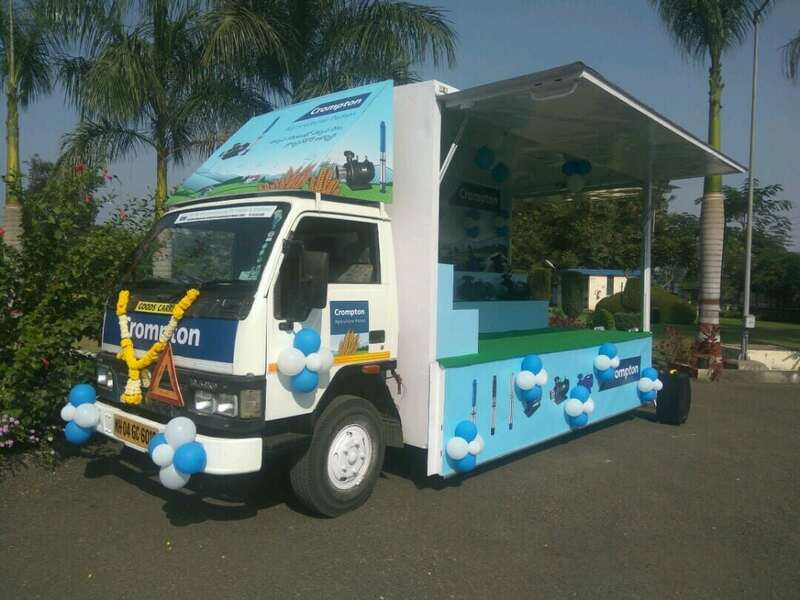 The audience was asked to come on the van, touch and feel the products, while the trained man power distributed leaflets and educated others about the motors. 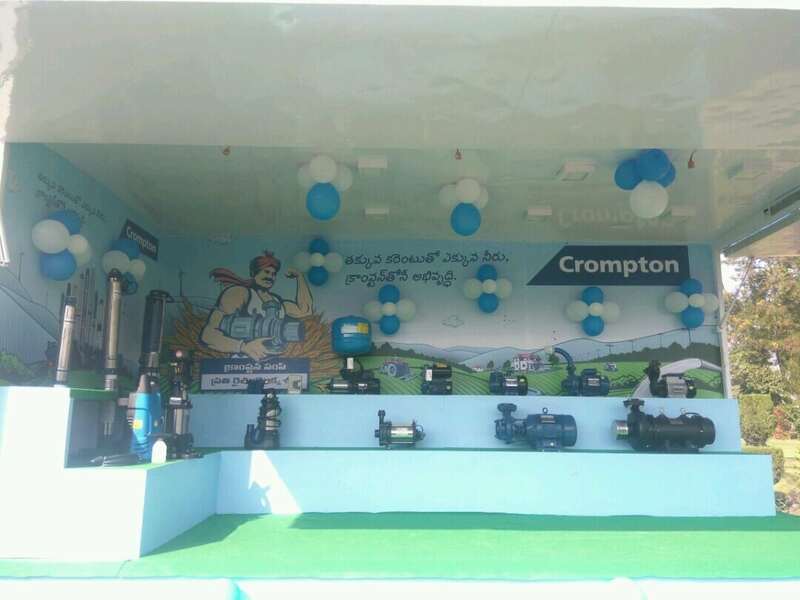 Local distributors/ dealers were also present to help the farmers as per their needs.